From August 10-14, 2015, Shree Peetha Nilaya hosted an international group of Atma Kriya Yoga bhaktas, or initiates. 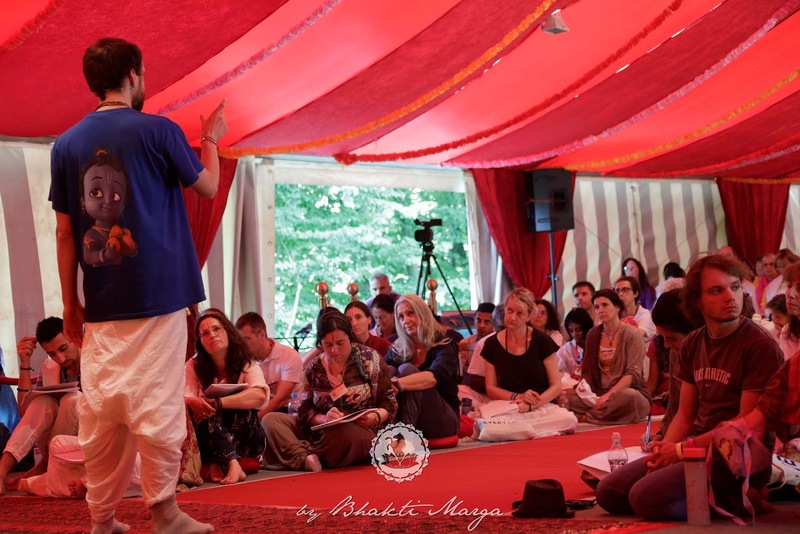 People from all over the world came to Springen to focus on Atma Kriya, interested in refreshing and deepening their practices. 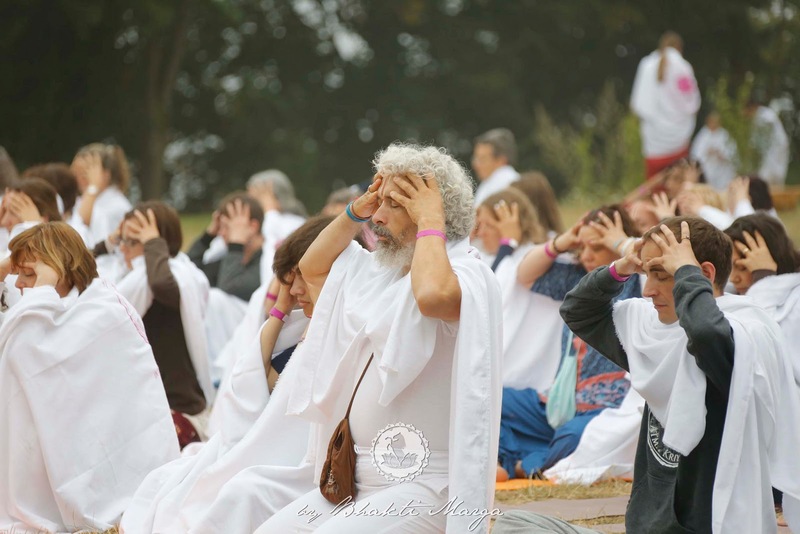 Atma Kriya Yoga instructors from the ashram planned an exciting, intensive schedule that would immerse bhaktas in practice. The retreat was designed to take us all beyond technique into the love and devotion inherent in the Atma Kriya Yoga practices. The nine different forms of Bhakti are embedded in the techniques we practice, so in addition to supporting our mind and body, our spirits soared as the week progressed. Atma Kriya Yoga is worship that allows us to engage in an intimate conversation with the Divine. Inherent in every discourse and practice was the recognition that we are not simply doing a practice but offering a prayer to the Divine with each and every breath and beat of our heart. In this way, every thing we do can be Atma Kriya Yoga. To deepen our experience and make the practice more personal, Guruji suggested we remain in silence when not in the workshops, so meals were served with a side of silence, so sadhaks could digest both the energy from their meditations, as well as their food. The days started early, with everyone practicing Babaji's Surya Namaskar, the Mahavatar's original Sun Salutation hatha yoga flow, on the back lawn before moving into each of the Atma Kriya Yoga practices. Beyond exercise, the hidden meanings of the postures were revealed, illuminating how each technique was a reach for God, placing our heart above our head and prostrating ourselves before the Divine. 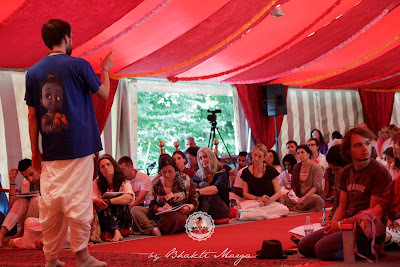 It was remarkable to feel the added depth and benefit of practicing with so many experienced practitioners all at once. 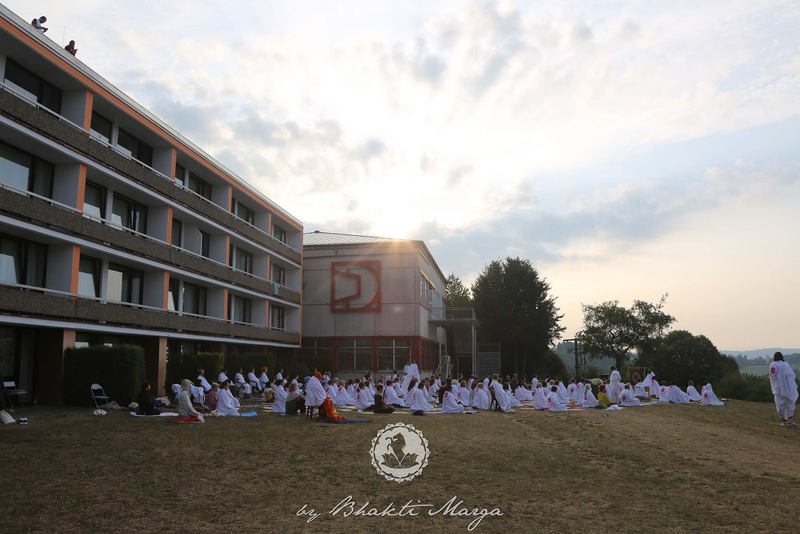 Japa is both the foundation and the pinnacle of Atma Kriya Yoga and thus was prominent in the retreat. The name of God is no different than God Himself, and so, it is only by His Grace that we are able to chant it. It is a priceless gift to be treasured beyond measure. 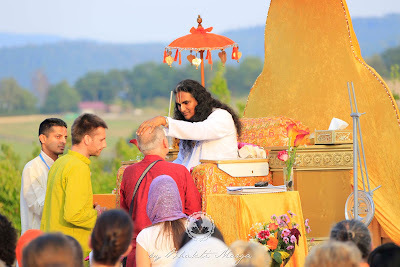 Those blessed with initiation into the mantra "OM Namo Narayanaya" receive the added blessing of Guruji and Babaji coming to remove karma from us with each breath. Above all we were encouraged to enjoy chanting the Divine Name. To do this, we took daily japa walks to deepen our own relationship with the mahamantra OM Namo Narayanaya as we traversed the countryside and village, uplifting the surrounding area with our silent prayers. 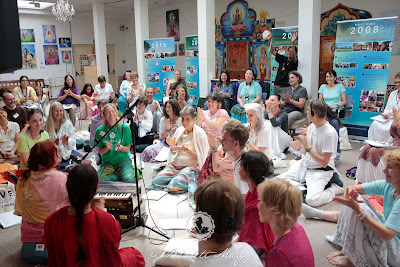 Back at the ashram, several smaller groups rotated through a variety of courses. 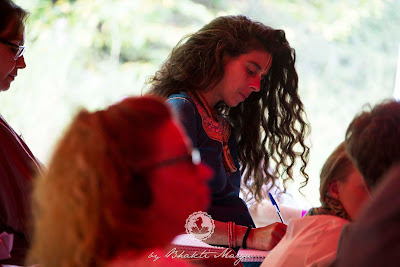 We took in-depth refresher classes to refine our Atma Kriya technique, explored Nada Yoga ("yoga of sound") in music lessons, learned how to do a Guru Puja, and tried traditional Indian dancing. It was a great experience to review the Atma Kriya Yoga techniques, and to make subtle refinements to bring our practice into even clearer focus. 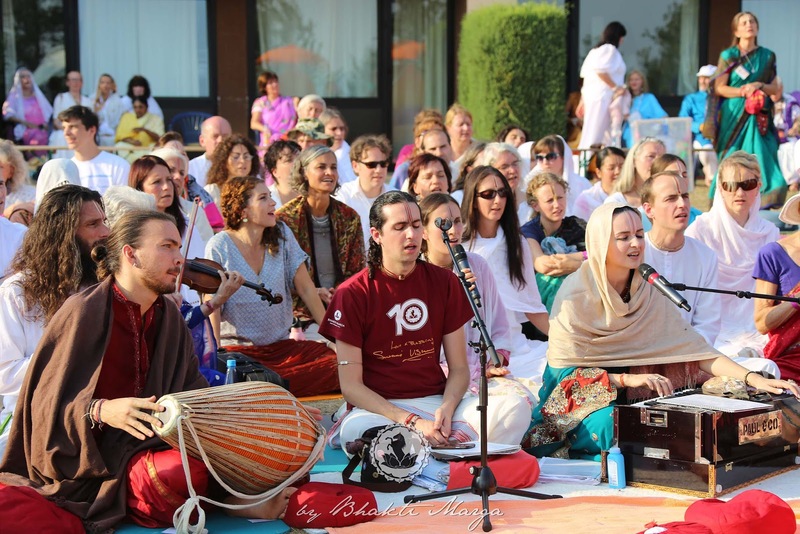 In the singing classes we learned how to fully embody the chant and make every bhajan an offering of our love and devotion to God. 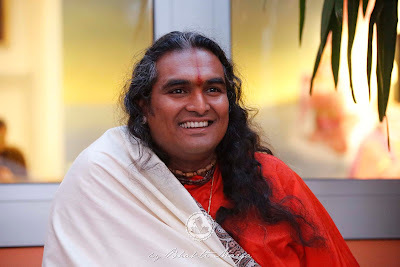 The discourse on Guru Kripa ("grace of the Master"), taught us about the importance of committed sadhana, and instruction in Guru Puja helps us appreciate all Guruji does for us. These also deepened our personal relationship with him, through whom all things are possible. Guruji’s satsang on Friday was deep and profoundly moving, giving us a glimpse into the magnitude of the blessing of Atma Kriya Yoga in our lives. 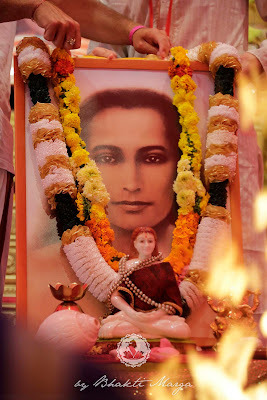 He spoke about Mahavatar Babaji’s gift to the world at this time in history to help mankind change from old ways to a new way of being, through Bhakti. He shared how Kriya helps break the patterns of the mind so we can move from focusing on the external material world to the internal reality and ultimately to the Supreme Reality. Reiterating how Kriya is a prayer, his reminded us that doing the practices with love will take us much further along our spiritual path. Our sadhana is to help us get ready to receive God. Being initiated plants the seed for this possibility in this lifetime, but it is up to us to do our part. The gift of initiation from your Satguru is the greatest treasure, which money cannot buy. 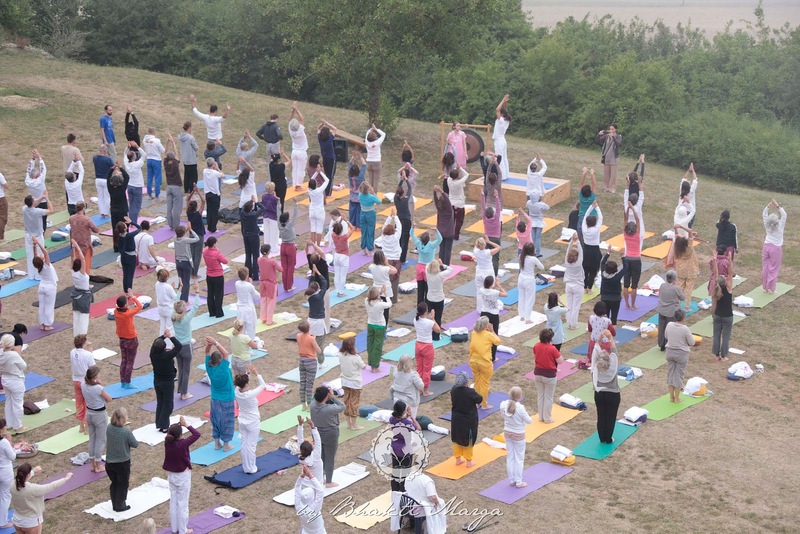 Every day, the participants gathered to enjoy hatha yoga and a full round of Atma Kriya Yoga. 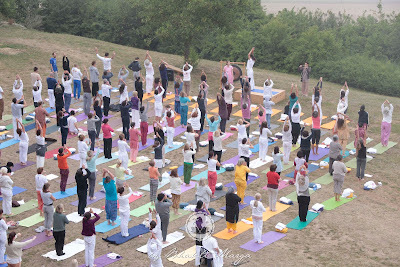 It was beautiful seeing all of the sadhaks in deep practice altogether. An example of one of the hatha yoga asanas. 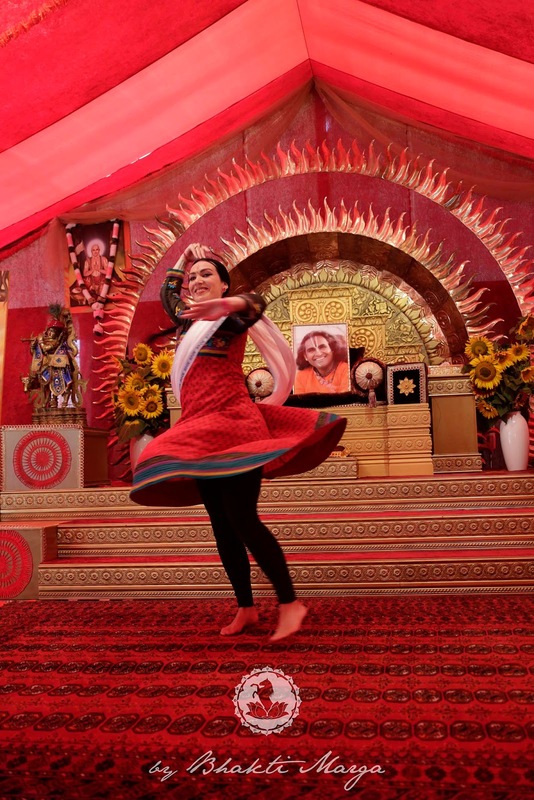 Shandilyananda gave several in-depth refresher courses. Paartha taught many participants how to perform puja. 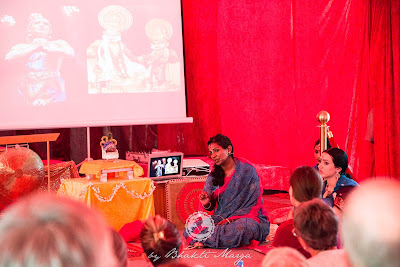 Singing lessons familiarized participants with bhajans. There was a dance course which connected participants to a deeper understanding of devotional dancing and playing. The lesson explained the forms of dance, historic insights, symbolism, and connection to our path. In the singing lesson there was a spiritual view of using the voice and opening the heart--how to call God while singing and make the voice its best, naturally. The course went very well. ...but that’s not true. We learned we are no different. Just because we can move more gracefully or learned a certain technique, you can only communicate to a [certain] extent. I believe so strongly in what I do, that I felt I could transfer this love for dancing to the participants. I could see people connecting to the love that I believe in, that I feel for dance. It was nice also that people had the misconception about dancing, that it was just for fun. They didn’t think it had anything to do with spirituality or devotion. But they had the opportunity to have their own experience of how everything can become spiritual. 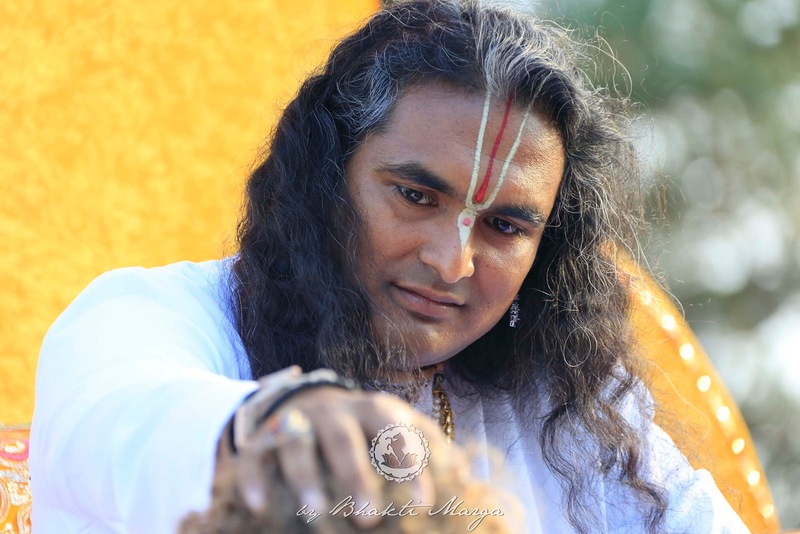 Dance is deeply rooted and its essence is bhakti. It was special seeing people shed their individuality, the piece of the ego that connects with their body, to see them with each movement freeing themselves, ourselves. The journey began starting with us as the teachers, but ultimately we are all on the same journey, working together as a family to progress and love more and more each moment. 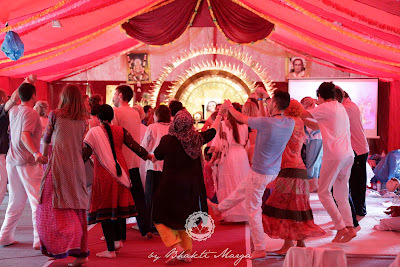 People became joyfully absorbed, dancing around Giridhariji. 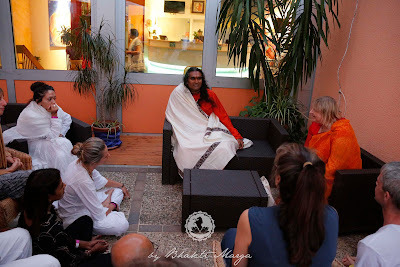 Later in the week, Guruji met with sadhaks grouped by their individual countries to have private satsang. 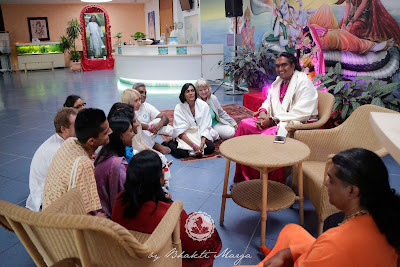 It was beautiful to see that despite the amount of participants, Sri Swami Vishwananda made time to visit with all of the people and answer their questions. He took two days to meet with all of the participants. One of the most amazing things to occur during the week was Darshan. This was the first outdoor Darshan ever to take place here at Springen. The view was stunning. 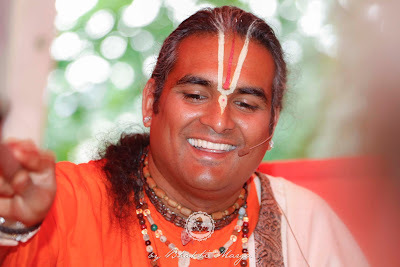 A unique addition Guruji requested was continuous chanting of OM Namo Narayanaya, while Bhakti Sounds recited Stotrams. 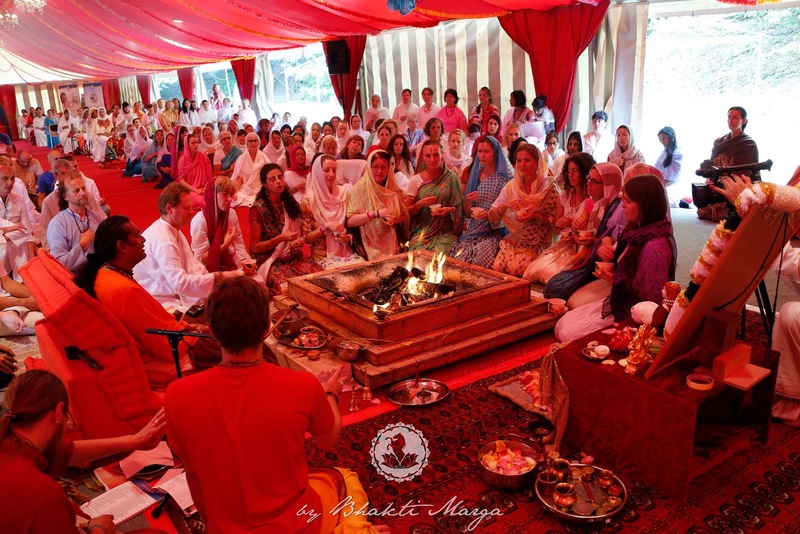 The final event of the Atma Kriya Yoga Retreat was an incredible yagna for the retreat participants, one day after the Darshan. Dedicated to Mahavatar Babaji, the Kriya Sadhakas were able to give their thanks for Mahavatar's Grace. 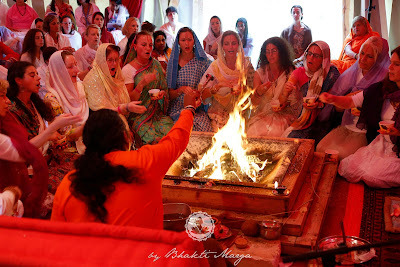 Many said that the yagna was very powerful and that they went away from it with such an amazing experience. It was as if the yagna drew the week of focused practice and awareness on the Divine to a satisfying conclusion. One participant shared, "I wished I could live in it forever." Some said it sealed the uplifted energy created during the retreat. Several participants said that they felt a deepened appreciation for the techniques. Many mentioned how they had begun to somewhat understand the Grace that is given not only through shaktipat (initiation) but also through every practice. 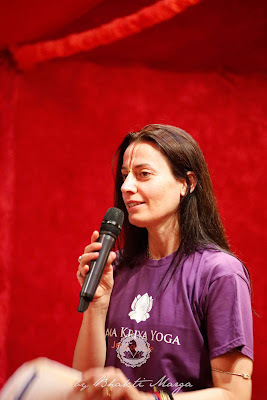 Learning what the techniques offer us physically, mentally, and spiritually fostered a motivation to practice and devote oneself to Atma Kriya Yoga as a sadhana as well as a tool on the path of bhakti. "It gave me a foundation for talking to other people about Atma Kriya Yoga in a way that speaks beyond technique, into the purpose of being on the spiritual path. This is the pinnacle and the path. It transformed my relationship to Atma Kriya Yoga. To speaking about it with others. It allowed me to go deeper into myself so that I can share it with others." 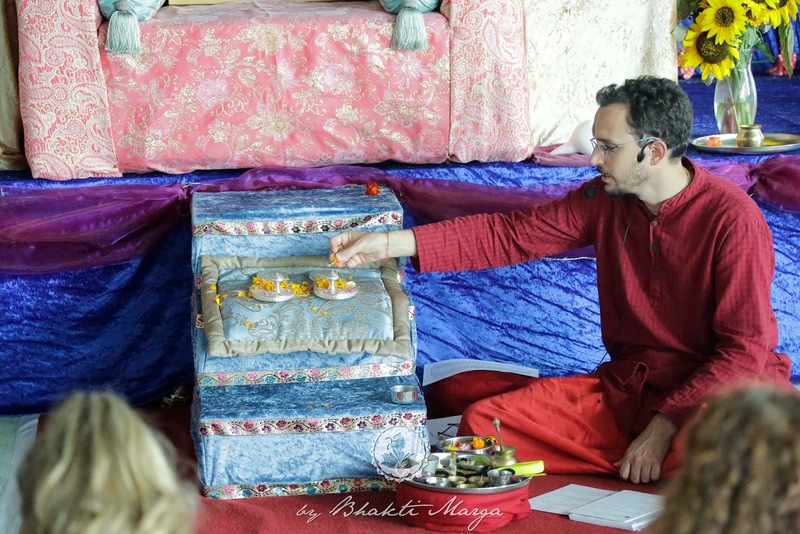 The whole week inspired a new-found motivation and devotion to the sadhana. What was your expectation for the retreat? I had no expectation, but I know that my experience would exceed any wildest expectation. 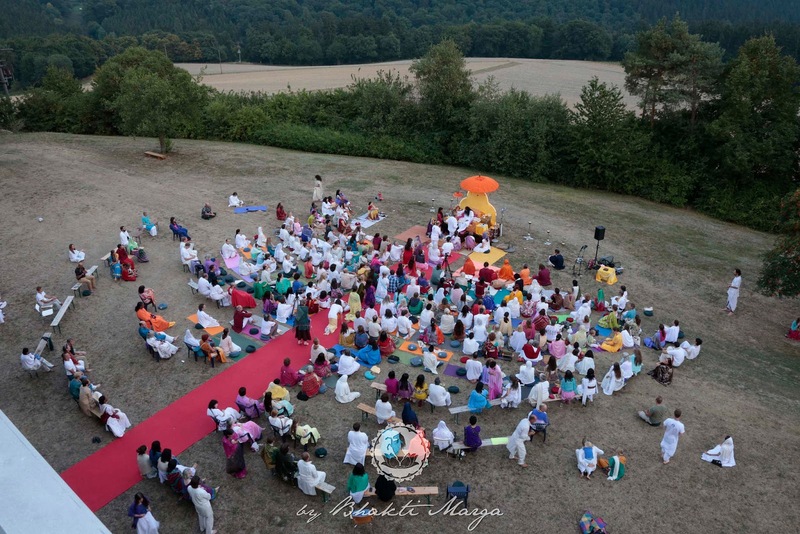 What is your highlight from the Atma Kriya Yoga Retreat? The highlight is Guruji. 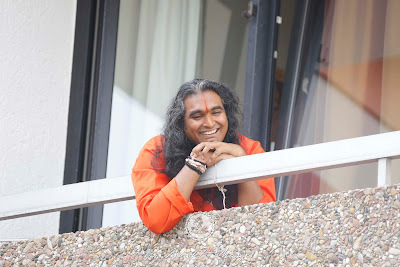 My first experience with Guruji was the second day of the retreat. I was always feeling him in my heart for a couple months prior. It was special when he came and sang with us in the morning prayers. I had the opportunity to tell him how I had been feeling for months about him--how he was dear to me. He held my hand and I felt divine energy enter my whole body but especially my heart. Darshan was amazing. Feeling that divine energy again brings the special moments you have with Him into the present. It’s a unique sensation you get to have when you are around Him. 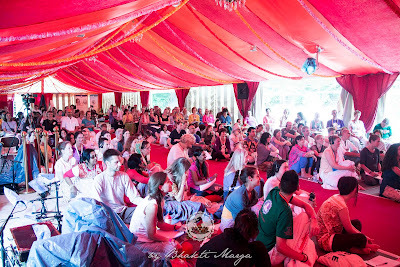 The Mahavatar Babaji Yagna was definitely very special. You just don’t get to do that stuff in the real world. 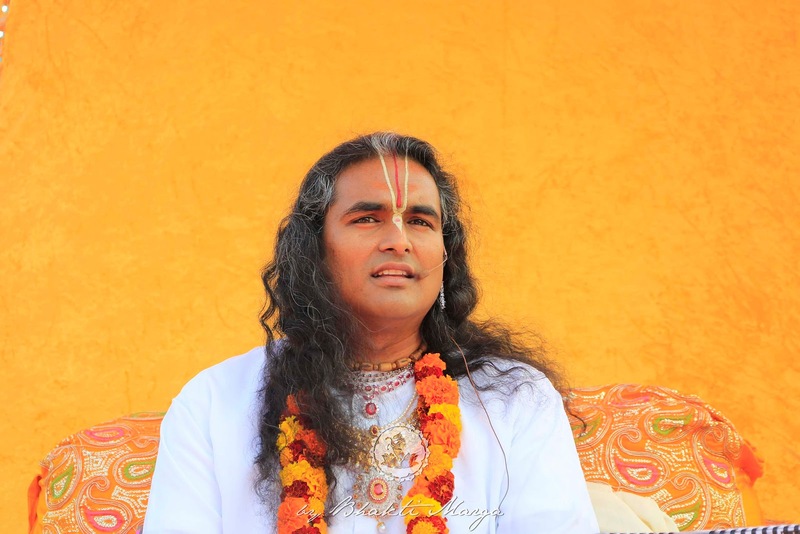 Sri Swami Vishwananda is a disciple of Babaji, and you get to do Kriya in the presence of Babaji himself. 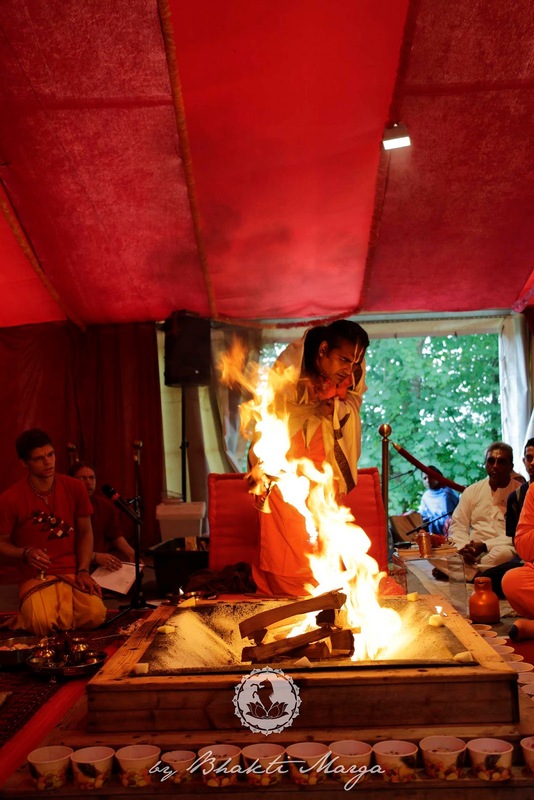 What was the yagna like? We have been here (at Shree Peetha Nilaya) so much this summer. We are happy we can come so much and be blessed by His presence so much. I can honestly say that we have been uplifted energetically a lot so far. The yagna was incredibly powerful. 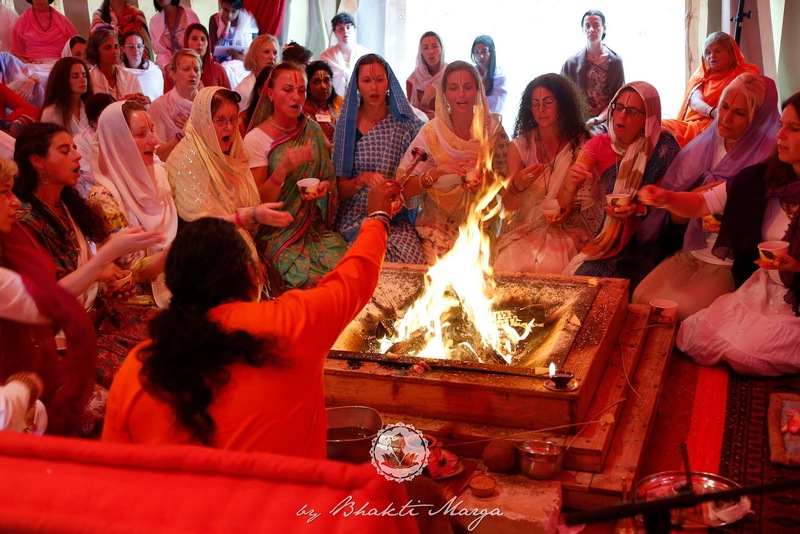 Especially after all the practices we (the participants) have been doing, the yagna sealed that energy in. I feel that when we go home, we are definitely going to be able to affect others just by the vibrations we’ve built up this past week. It seems as though Guruji had done all of this to do that, to reach others just by impacting them with our energy--with His energy. 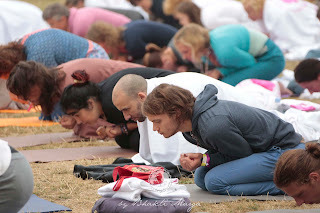 The more people that practice Atma Kriya Yoga together, the more spiritual power can be generated. 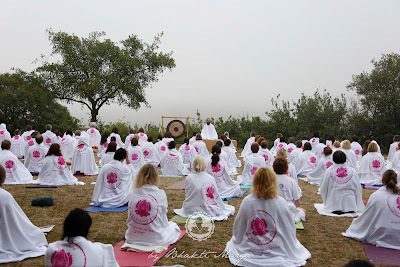 Not only did the participants sense this, many residents also remarked about the feeling of unity and peace that radiated from the practices. After a whole week of dedicated Atma Kriya Yoga practice, the entire ashram was immersed in a special sweetness, a harmony. 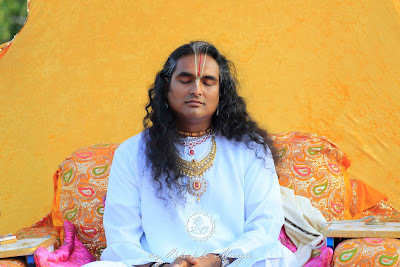 When practiced with love and devotion, each individual Atma Kriya Yoga technique can make one fully ready for God-Realization. The opportunities Sri Swami Vishwananda gives us are certainly unique and beyond this world. The Atma Kriya Yoga Retreat is an amazing example of the tools Sri Swami Vishwananda gives us on our spiritual path to fulfill the purpose of life.